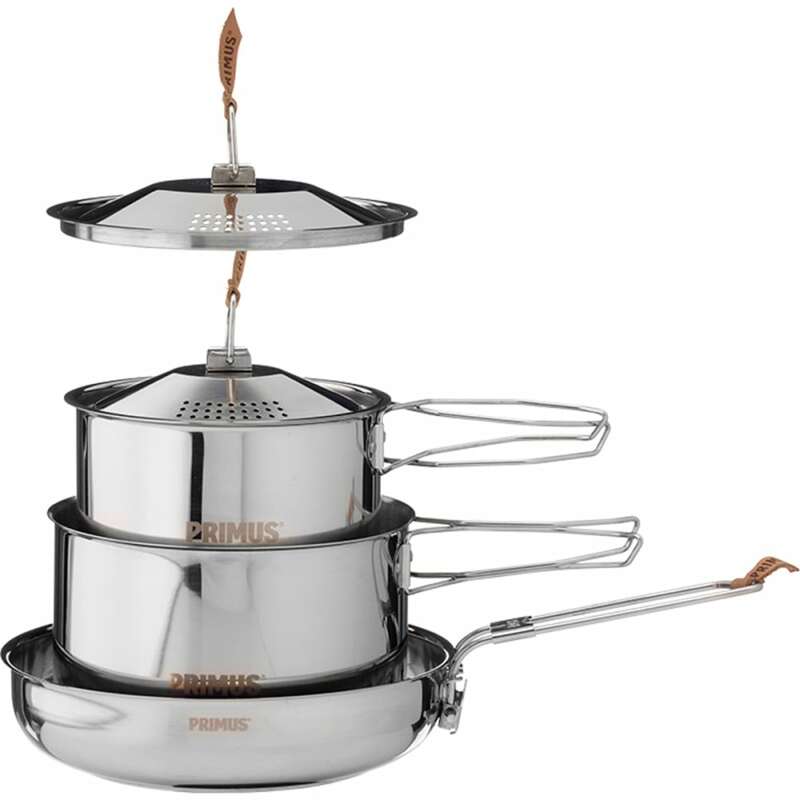 Durable 18/8 stainless steel Primus cookset - a workhorse designed to withstand years and years of service. The set consists of two pots (1,0 and 1,8 L), two lids with integrated colanders and a frying pan. The frying pan has a foldaway handle and aluminium-clad bottom for even heat distribution. The pots are stackable and packs compactly together with the frying pan into an included storage bag.